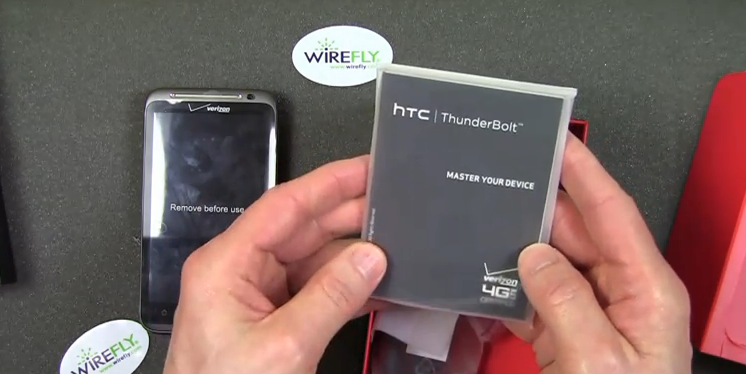 An unofficial unboxing of a “pre-production” HTC Thunderbolt popped up over at Wirefly’s blog and gives you a look at the “production” packaging plus a walk-through of the outside of the device. Nothing you haven’t seen from us already except for the box it comes in, which even I’ll admit is pretty spicy and well done. I should warn you though, that while watching this, you’ll be forced to hear Verizon’s new network referred to as “LTE 4G”, will think a 32GB pre-installed SD card has cured the incurable, and that a kickstand is something that no one expected to see on this device.